WHEN: September 10th through October 8th, 2016. Shows will be on Fridays and Saturdays at 8pm and Sundays at 2pm. TICKETS: $24 for all performances and can be purchased online at www.bcplayers.org, by calling 201-261-4200 or by visiting the box office at 298 Kinderkamack Road in Oradell during regular box office hours. Those interested in Group Sales or benefit theater parties can call (201) 261-4200 (mailbox #6). Discount tickets for students age 25 and under with proper ID are available for $14 by phone or walk-up only, not online. Bergen County Players, the New Jersey Association of Community Theater’s “2015 Community Theater of the Year,” is proud to open its 84th season with the Tony Award winning musical, Cabaret, a cautionary tale about a society in trouble and their escape from reality. Demovsky, of New City, NY has an interesting background and is the “go to” person for Robert Osborne of Turner Classic Movies in his lecture series as Film Historian at venues across the United States. He also directs readings for the Emmy Awards New York chapter ongoing program to encourage new playwrights. He has directed 20 productions including A View from the Bridge, Who’s Afraid of Virginia Woolf?, Ballroom, The Laramie Project, Twelfth Night, Grey Gardens, and the original opera The Dybuk. He has also appeared on stage in numerous plays and musicals including Six Degrees of Separation, Crossing Delancey, Oliver!, and Frankie and Johnnie in the Clair de Lune, to name a few. In his spare time, Alan volunteers weekly at The Lillian Booth Actors Home in Englewood. The talented cast of Cabaret features Jimmy Vinetti of Bloomfield as the Emcee and Messalina Morley of Ridgewood as Sally Bowles. Also featured are Stavros Adamides of Spring Valley, NY (Cliff), Robin Peck of River Edge (Fraulein Schneider), Brian Feldman of New City, NY (Herr Schultz), Janet Gaynor-Matonti of River Edge (Fraulein Kost), James Lugo of Congers, NY (Ernst Ludwig), Paul Reitnauer III of Englewood (Max), Julie Wendholt of Nyack, NY (Chanteuse), Elisabeth Erdmann of Nutley, Elissa Hickey of Oradell, Dani Letsche of Rutherford, Alison Miller of Leonia, Briana Brink-Rivera of Flushing, NY and Deborah Zika of Hillsdale (Kit Kat Girls), Paula O'Brien of Park Ridge (Herman, Kit Kat Boy), Christopher Zika of Hillsdale (Bobby), Matt Blum of Paramus (Victor) and Nate Feldman of New City, NY (Boy). As it has for the past few seasons, BCP will continue to offer a “Questions & Artists” (Q&A) discussion following select performances. 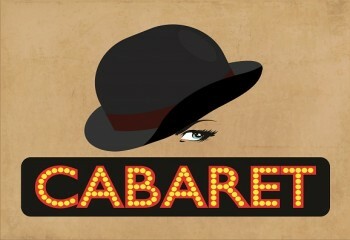 Cabaret Q&A will kick off immediately following the September 16, 2016 performance. Admission is included in the cost of the ticket. A new program is now available for qualified non-profit organizations to use one performance of each production as a fundraising event. The group will book the house at a deeply discounted price and then resell the tickets at a price of their choosing, with the difference in price kept by the group. The available date is the Thursday of each show’s final weekend. Interested groups can email fundraising@bcplayers.org for more information. Parking is free for our patrons at the Park Avenue municipal lot, across the street, one-half block north of the theater, as well as street parking on Kinderkamack Road and various side streets, all within easy walking distance.